From the days of Duck Hunt and Pac-Man where players had to fight to get to a top level of the arcade, gaming has sure revolutionized over time, thanks to technology. As game developers are becoming more aggressive in creatively exploring different gaming ideas, more and more gamers are coming up from different sides of the world and becoming better in gaming. Global activities like the Major League Gaming (MLG) have put gamers on their toes, trying to become the gaming experts of all time. You cannot be a jack of all trades in gaming and expect to be exceptional at what you do. With time, developers keep launching new games. If you seek to become versed in all of them, then you will need centuries to perfect your gaming skills. Since you are not looking to become a professional video game tester, then, choose one game franchise and learn all there is to know in that kind of play. The best way to pick up new skills is to compete against time while competing with other players. Consider a random selection of players to team up with, so that you can iron up your skills as both a single player and a team player. For example, if you decide to pick on Corsair t2 road warrior, ensure you build your reputation in this one side before you can determine to change your selection. Gaming is an acquired skill. It greatly manifests with intense and continuous practice. Those who consider themselves gaming professionals have been doing it for a long time, enough to accustom them to the different demands of the video games. The practice involves a commitment to the games, sometimes for 8 hours every day, without giving up, regardless of whether you keep winning or losing. The good news about gaming is that once you have passed one level, there is the motivation and thrill to conquer the next and the one after it. No one loves failing or losing. In gaming, the probability of winning vs. losing are 50:50. You cannot always be a winner unless you are a loser first. That said, you cannot make it as a professional gamer if your motives are not backed up by an intense passion for video gamers. You have to be passionate about the way games are made, the hurdles in every level of gaming, the long hours of laying, the competitive nature of other gamers, and the expenses that come with it. The key is to have fun while doing it, do not consider it so much of work, but more of a fun activity. 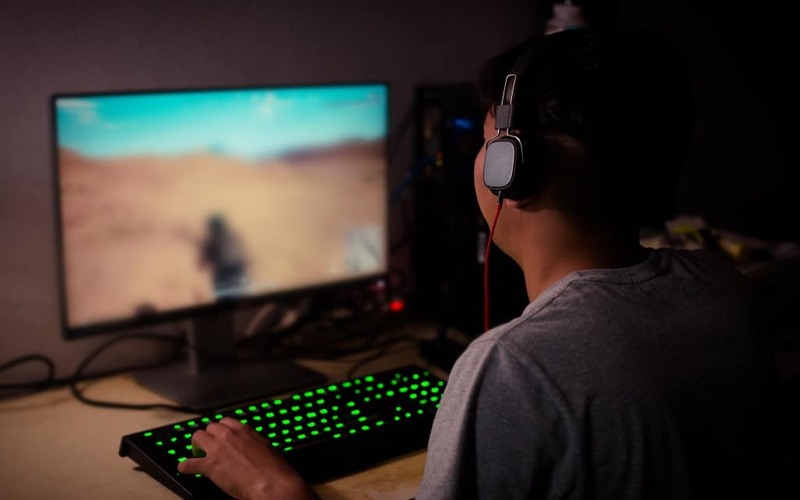 With dopamine being released by your body through such sessions, it shouldn’t be too hard for you to enjoy the gaming processes, even throughout your practice sessions. Sometimes, you can never know how good you are at something until you have to beat someone at it. When it comes to gaming, you may think you have gathered so much expertise, until you are defeated in the first round of competitions. Try out different contests that have rewards, so that you can have the drive to face those you are up against, sharpen your skills and win in the championships. Most pro gamers are part of a gaming community. You may feel like a loner when trying to outshine all your competitions, but you can never replace the significance of a community. Being surrounded by like-minded people will put you more into perspective about how best to game and become a professional. Additionally, such communities are involved with forums and conversations about the trends in the industry, what to anticipate, criticism, reviews, among other crucial information that could help you in your journey to becoming a professional video gamer. Yes, gaming can be addictive, and often, gamers forget to live life. You may become so engulfed in the idea of nailing it in a game. That you forget to do other things in life, including intricate basics like taking a shower or eating. Watch your eating habits, socialization habits, among others. Give yourself a break every once in a while, to wind up after long gaming hours, as you catch up with the real world. Remember, your physical and mental health is of the utmost importance in your chase to becoming a professional video gamer.